Jimmy Lewis Maestro inflatable sup – SUP, Windsurfing UK. The Jimmy Lewis Maestro inflatable sup is begging to go out and have fun on the water. 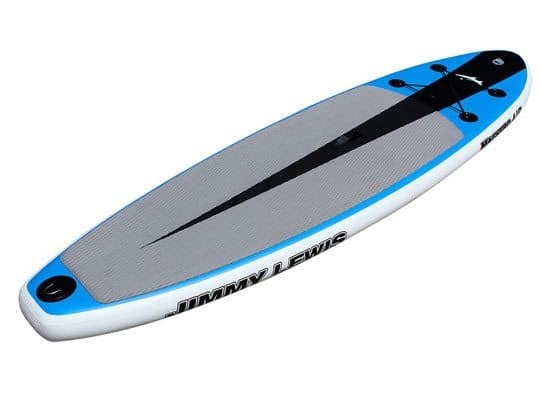 Inflatable paddleboards are so popular for so many reasons and the Jimmy Lewis Maestro inflatable sup is on the water offering great value for money with the usual high quality of any Jimmy Lewis SUP. he first thing to recognise is that not all inflatable paddle boards are made the same. You may have heard people talking of boards that seem to be more bendy and certainly there are lots for sale cheap on ebay that will deliver this trait. The inflatable paddleboards from Jimmy Lewis have been built with the same attention to detail as his award winning solid boards. The construction is double lined with a rigid quality control applied to each one. A design that allows the board to easily be rolled back up and put into its bag, which some other brands struggle with. Stunning good looks with the usual tie downs for holding some kit in place for your journey. A standard fin box should you ever need or want to try a different fin. A proven pump that we have punished for over a year before rolling them out with our boards. 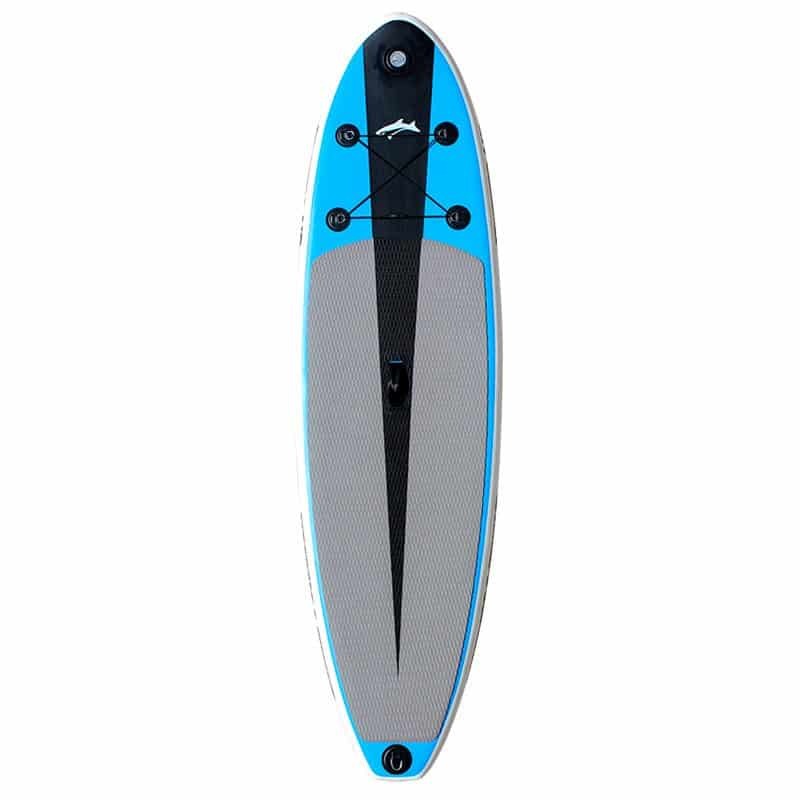 The Maestro inflatable stand up paddle board comes in 2 sizes – 10’3 and 9’2. The smaller board is more aimed at the smaller rider and kids, but it also acts pretty well as an occasional surf sup, whilst the 10’3 is pretty good at being a more all round family fun board with loads of volume even for a big 16 stone bloke. p.s I said occasional surf sup as I wouldn’t want to confuse the boundries of true surf shapes with inflatables – there is a big difference, certainly as you improve.